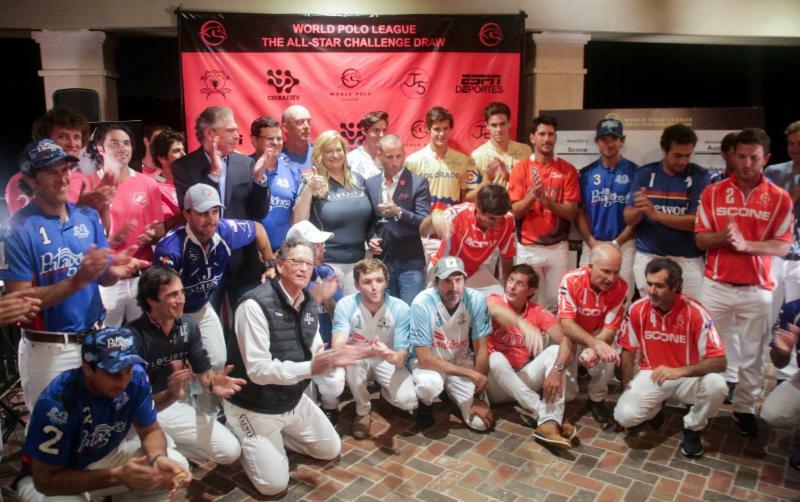 WELLINGTON, Fla., February 6, 2019---The inaugural 26-goal World Polo League officially launched its season Tuesday night with the draw for the first of four high goal tournaments. Players, team sponsors and co-founders get together for the WPL's first official group shot. 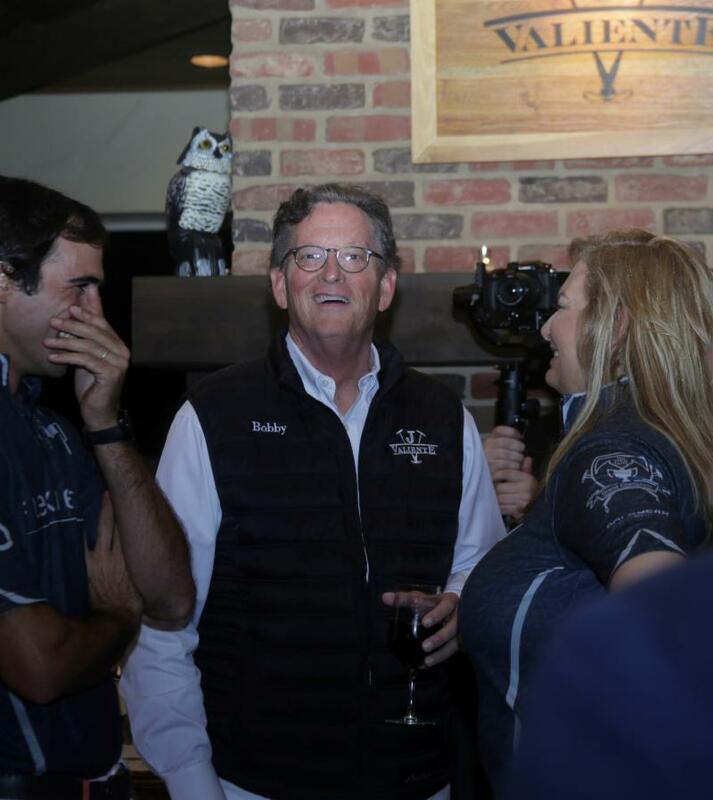 In front of a packed house at Valiente Polo Farm, team owners took turns drawing the best players in the world for the All Star Challenge Draw Tournament that gets under way Thursday at Valiente Polo Farm with a doubleheader. In the WPL opener, Scone will play Flexjet at 10 a.m. and Grand Champions will face Colorado at 4 p.m.
On Friday, Cria Yatay, led by Nacho Figueras, plays Patagones at Jan Pamela Field off Indian Mound and Sunday at 4 p.m., Valiente plays Audi in the featured game at Grand Champions' Field 2. 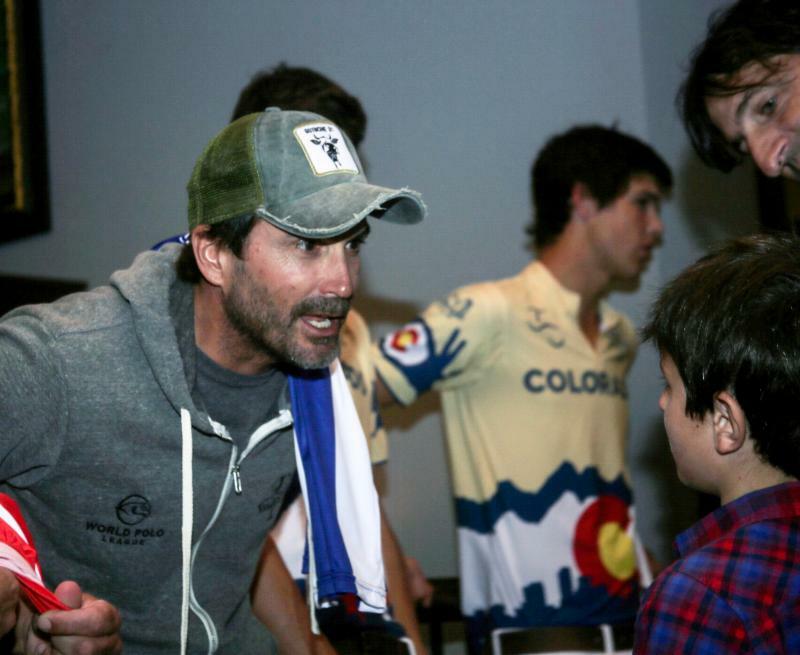 Adolfo Cambiaso having fun with fans after being selected by Grant Ganzi for Grand Champions. Eight teams will compete in bracket play with the final set for Feb. 17 at Grand Champions Polo Club at 4 p.m.
Scone, Grand Champions, Colorado and Flexjet are in Bracket A and Audi, Valiente, Cria Yatay and Patagones are in Bracket B.
Josh Cohen of ESPN West Palm and Jan-Eric Franck, the voice of polo and WPL announcer, talk with Scone team sponsor David Paradise. 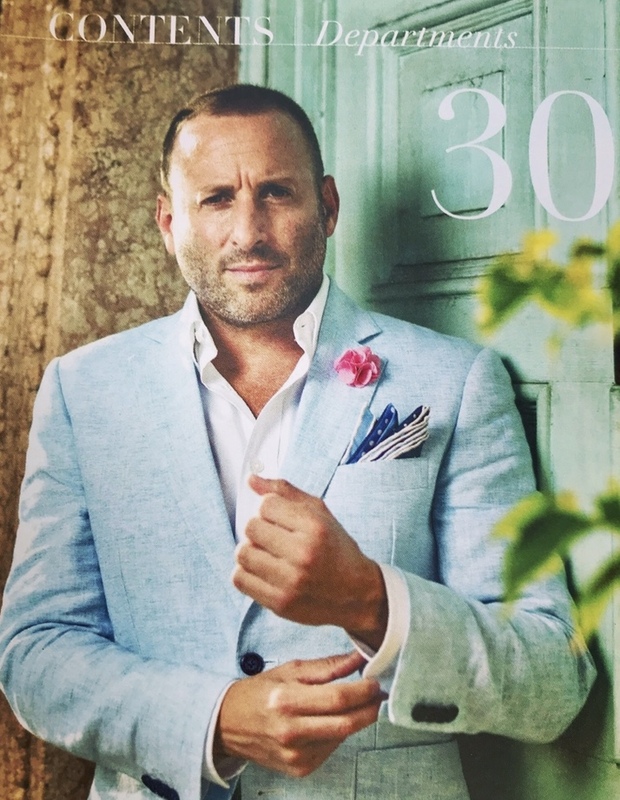 "We are entering a new era to the game of polo," said broadcaster and local celebrity Josh Cohen of ESPN West Palm, which has partnered with the WPL to promote year-round the only 26-goal league in the U.S. The first-of-its-kind draw party featured team owners drawing out of a hat for one top player from each team. The unique format allows team owners a chance to play with a 10-goal player that they otherwise would not have been able to play with. Grant Ganzi of Grand Champions drew Adolfo Cambiaso, the world's top player and is the pre-tournament favorite. WPL co-founder Melissa Ganzi talks with Adolfo Cambiaso and Nacho Figueras while Nic Roldan and Rob Jornayvaz watch the festivities. ESPN West Palm (106.3FM) and ESPN Deportes (760AM) signed an exclusive contract with the WPL and will target the West Palm Beach, Fort Lauderdale and Miami markets with various broadcasts, commercials and exposure on radio, ESPN.com and social media platforms to promote the World Polo League. 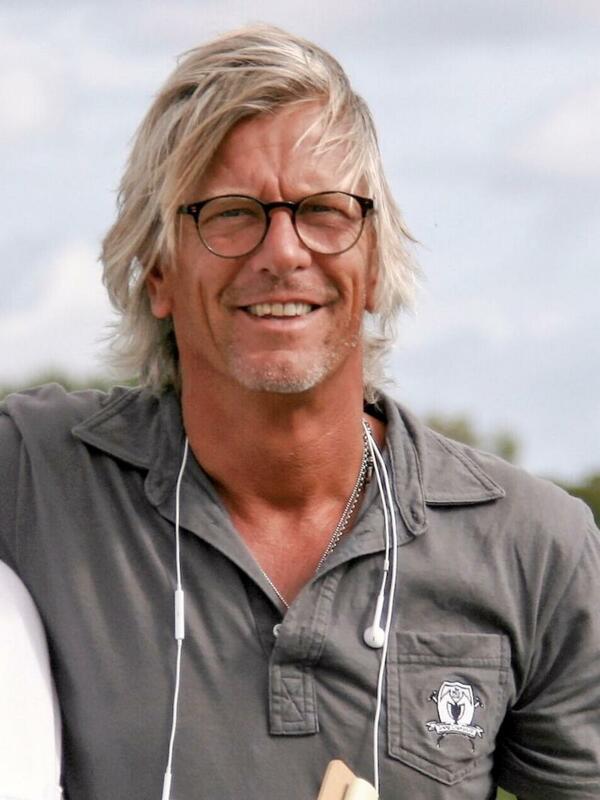 Veteran polo announcer Jan-Eric Franck, the voice of polo, will handle the announcing for the World Polo League. 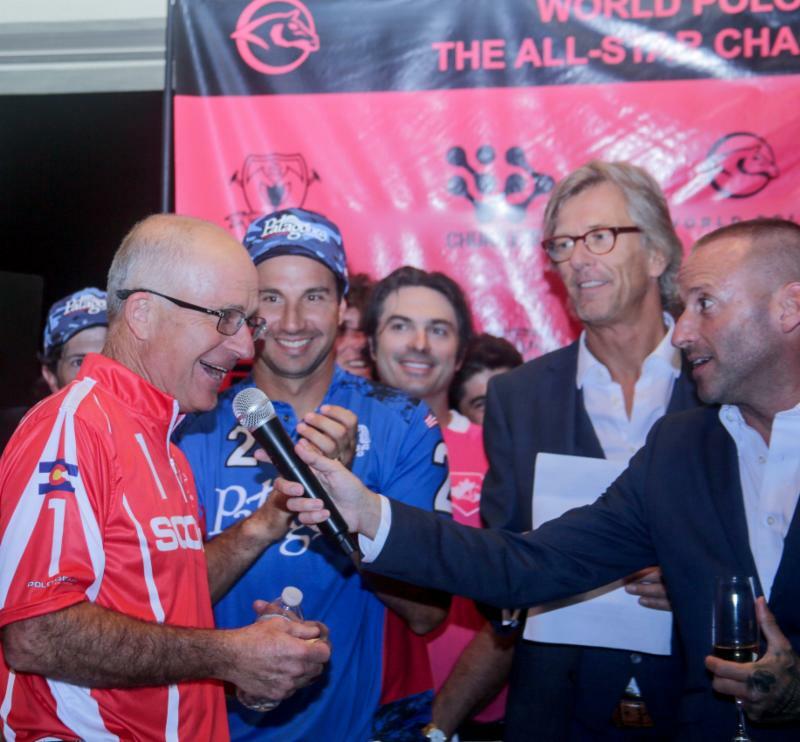 Scone team sponsor David Paradise talks with Diego Cavanagh, Nic Roldan and Adolfo Cambiaso. During the launch, the WPL's four world-class umpires were introduced. They are Martin Aguerre, Daniel Boudou, Gaston Dorignac and Esteban Ferrari. 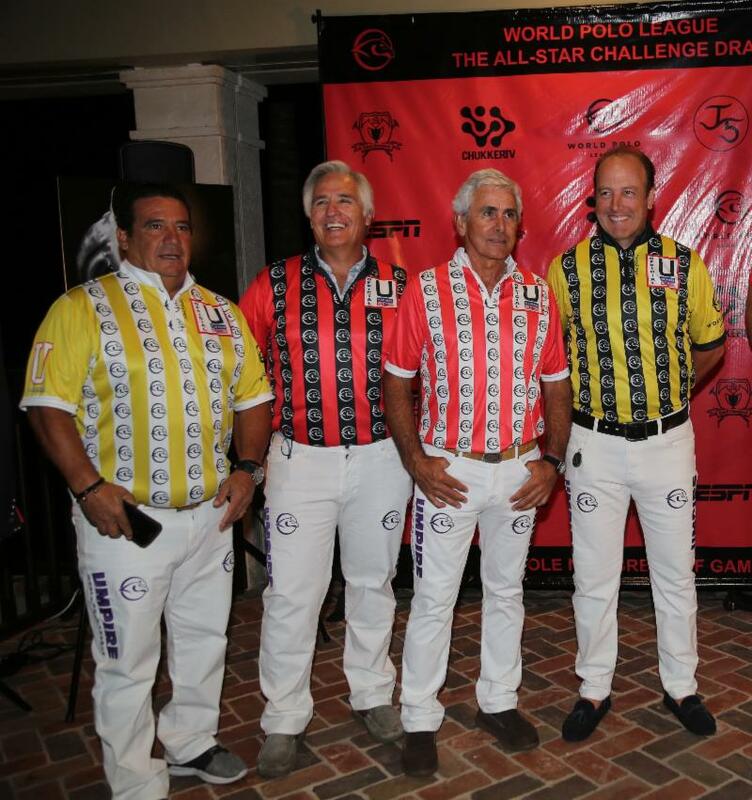 The World Polo League officials were introduced during Tuesday's launch. Heading the tournament field are four of the world's top players: 10-goalers Pablo MacDonough, Juan Martin Nero, Pelon Sterling and Cambiaso, teammates on the reigning Argentine Open champion La Dolfina Sancor Seguros. Scone (26): David Paradise, 0, Guillermo Terrera, 8, Alejandro Taranco, 8, Juan Martin Nero, 10. Grand Champions (22): Grant Ganzi, 2, Juancito Bollini, 4, Adolfo Cambiaso, 10, Alfredo Bigatti 6. Colorado (25): Robert Jornayvaz, 2, Juan Martin Zubia, 7, Rodrigo Andrade, 9, Jero del Carril, 7. Flexjet (23): Melissa Ganzi, A, Pablo Spinacci, 6, Diego Cavanagh, 9, Alejandro Novillo Astrada, 8. Audi (26): Marc Ganzi, 2, Nic Roldan, 8, Pelon Sterling, 10, Kris Kampsen, 6. Valiente (24): Santi Torres, 6, Agustin Nero, 6, Pablo MacDonough, 10, Bob Jornayvaz, 2. Cria Yatay (26): Nacho Figueras, 6, Juan Cruz Merlos, 6, Pite Merlos, 8, Tommy Biddle, 6. Patagones (23): Gonzalo Avendaño, 2, Santi Wulff, 5, Santiago Toccalino, 8, Tomas Garcia Del Rio 8. WPL Commissioner Dale Smicklas with co-founders Melissa Ganzi and Bob Jornayvaz. 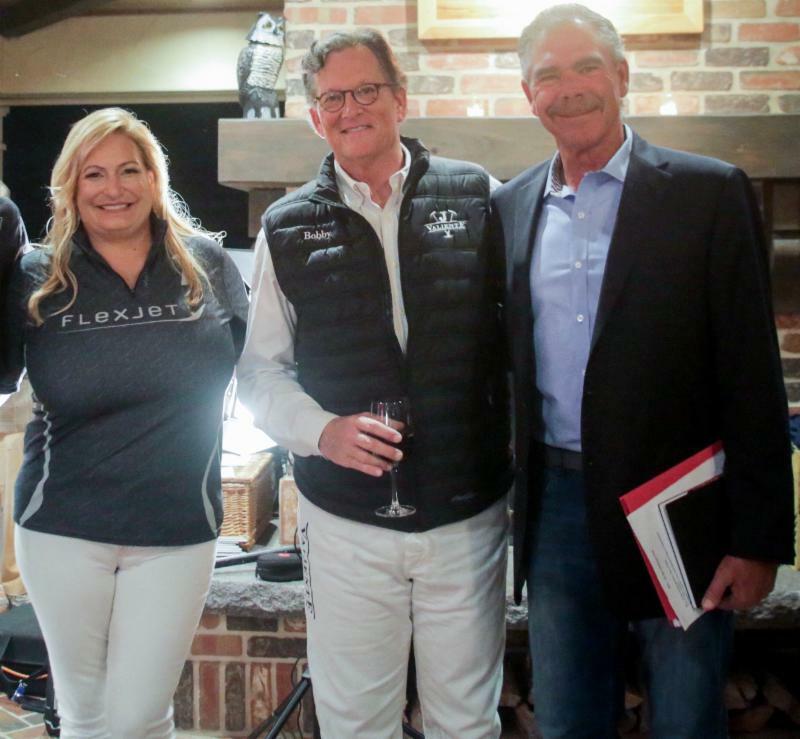 Co-founded by Grand Champions owners Melissa and Marc Ganzi and Valiente Polo Farm owner Bob Jornayvaz, the World Polo League is the only 26-goal league in not only Wellington, but the United States. 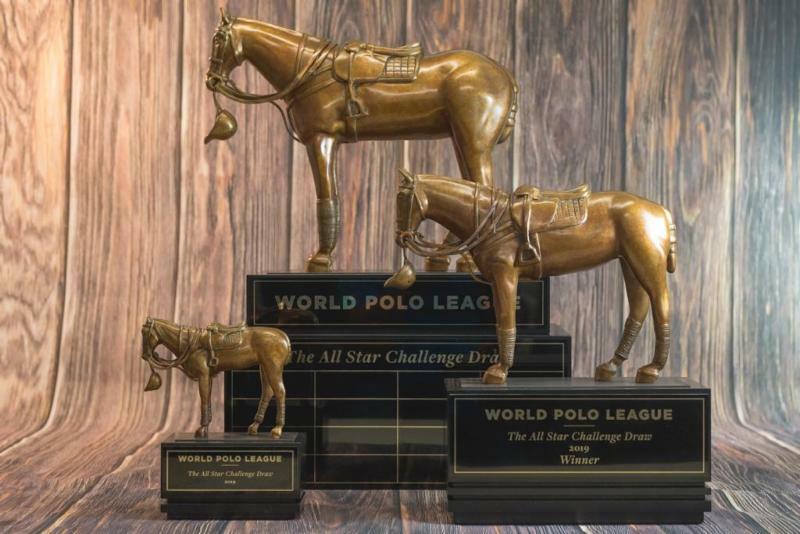 The exciting new league, that will offer major prize money starting in the semifinals, will not only fill a void but preserve the highest level of polo and its rich, hallowed tradition in the U.S. 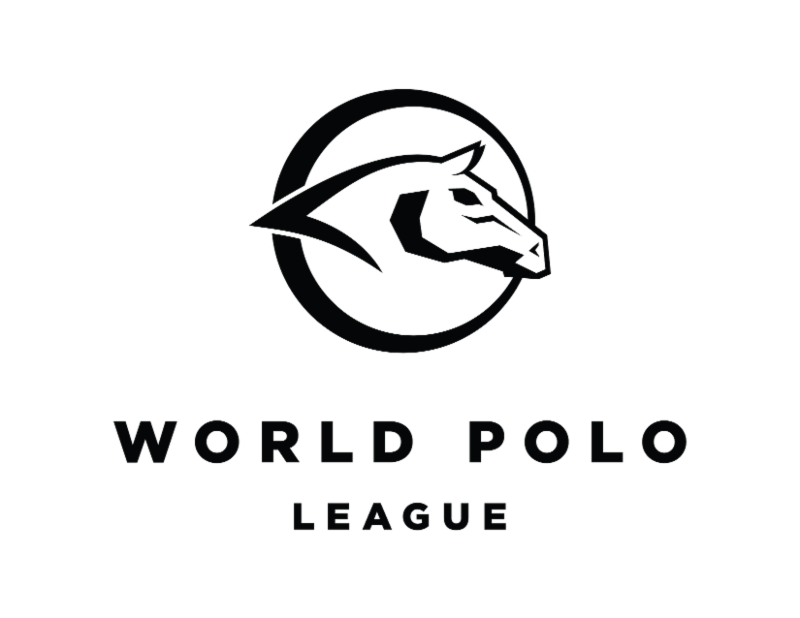 The WPL has its own set of simpler fan-friendly rules to improve the flow of the game and is not affiliated with the USPA. WPL Dale Smicklas addresses the crowd during team introductions. The WPL, with 14 tournament-quality fields to play on, will also include the Feb. 20-March 3 Founders Cup, March 6-24 Palm Beach Open and March 27-April 14 Triple Crown of Polo. 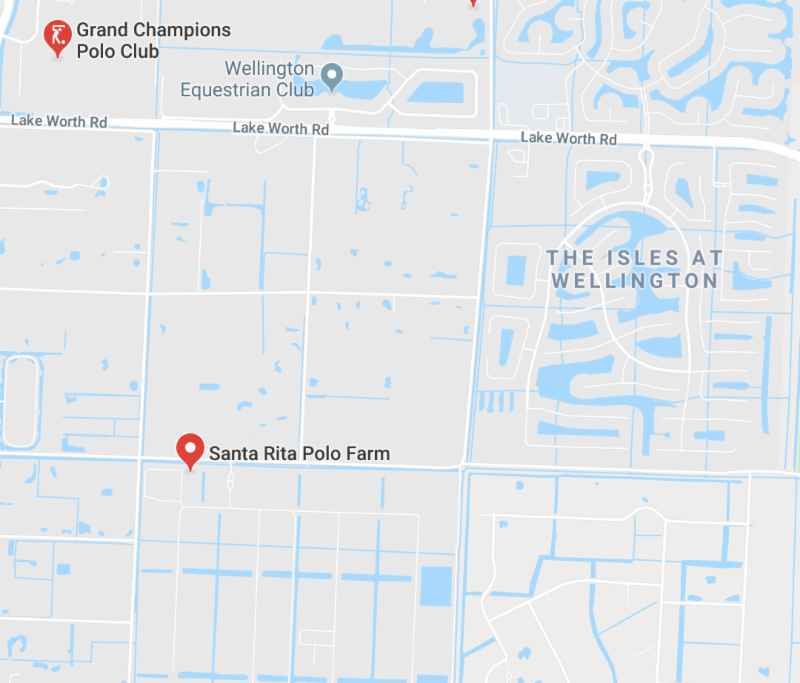 The WPL game finals will be held Sundays on Field Two at Grand Champions at 4 p.m. and semifinal games at Valiente Polo Farm, Fields One and Two. Several games will also be held throughout the week at various times. Admission is free along with food and refreshments. The World Polo League is open to other teams that wish to compete in one or more of the tournaments. Entries are still open and everyone is welcome to play. Games are offered on the flat (Open) and on Handicap. WPL co-founders Melissa Ganzi and Bob Jornayvaz with Alejandro Novillo Astrada. The World Polo League has attracted a large international field of players from all corners of the world including Australia, Argentina, Brazil, Costa Rica, Uruguay and U.S.
Jornayvaz also announced during the draft party the U.S. National Mixed Doubles Championship, featuring two men and two women with combined handicaps, will be held in March as part of the WPL season. 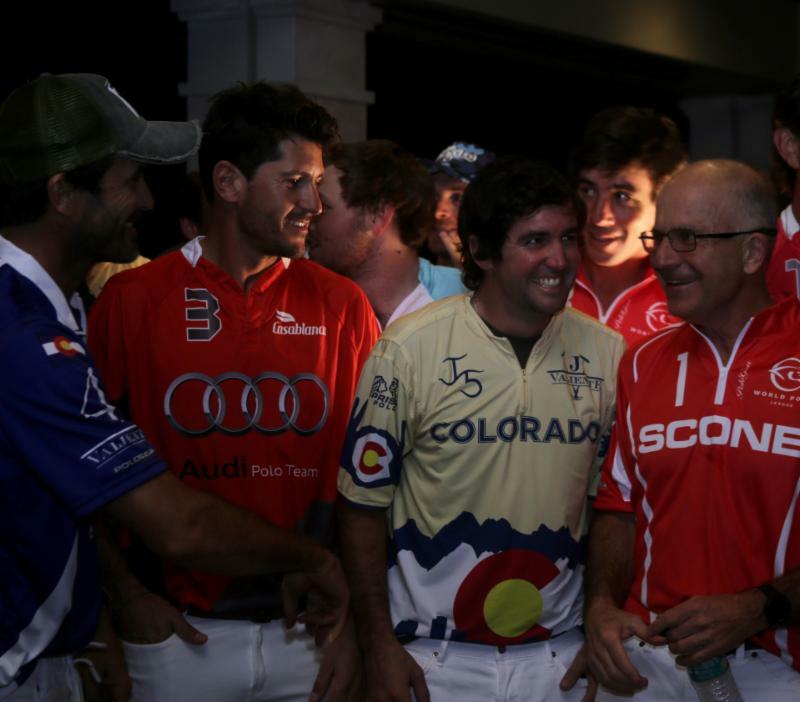 "Polo is all about having fun and we are going to have fun," Jornayvaz said. In addition to the World Polo League, season highlights for 2019 at Grand Champions are the Sterling Cup which ends Saturday at 3 p.m. with the final between defending champion Valiente and Colorado, March 1-31 $50,000 National 12-Goal Tournament, March 1-16 John T. Oxley Memorial and March 3-24 $100,000 World Cup Tournament, a unique 0-40-goal, winner-take-all single-elimination tournament. Thursday: 10 a.m. Scone vs. Flexjet at Valiente; 4 p.m. Grand Champions vs. Colorado at Valiente. Friday: 4 p.m., Cria Yatay vs. Patagones at Jan Pamela Field, off Indian Mound Road. Sunday: 4 p.m., Valiente vs. Audi at Grand Champions Polo Club, Field 2. Games at Grand Champions Polo Club, Valiente Polo Farm and other local fields. 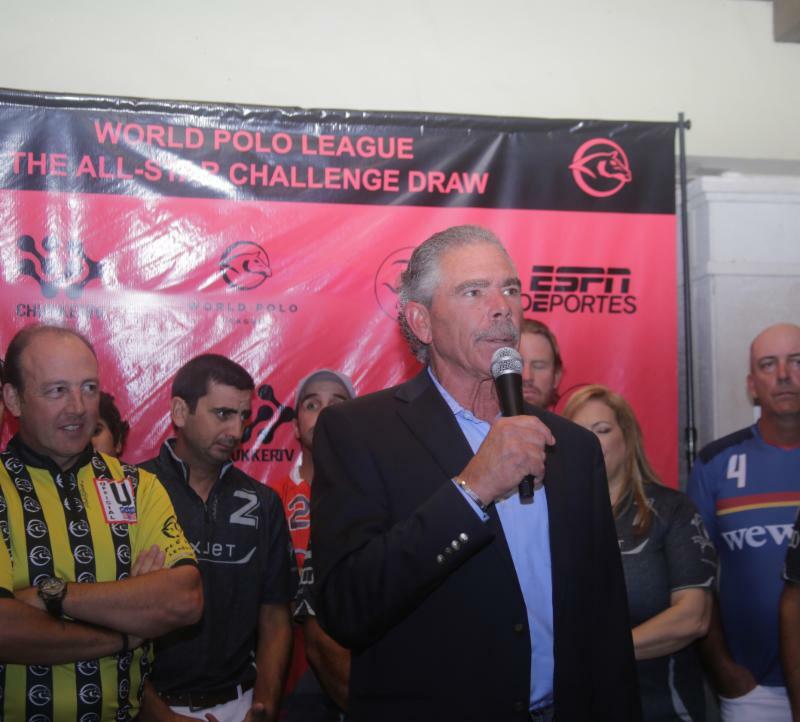 ESPN West Palm (106.3FM) and ESPN Deportes (760AM) signed an exclusive contract with the World Polo League and will target the West Palm Beach, Fort Lauderdale and Miami markets with various broadcasts, commercials and exposure on radio, ESPN.com and social media platforms to promote the exciting new 26-goal league. live event hosts in South Florida. Beach team and ESPN Deportes760AM manager since its inception. 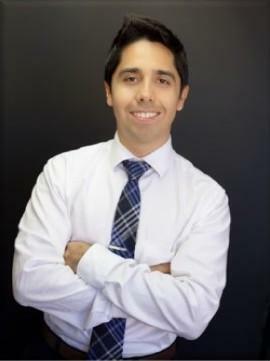 He is the host of Comunidad ESPN every Monday, Wednesday and Friday morning that features all-sports talk and interviews with the Latino community leaders from the local Hispanic market.